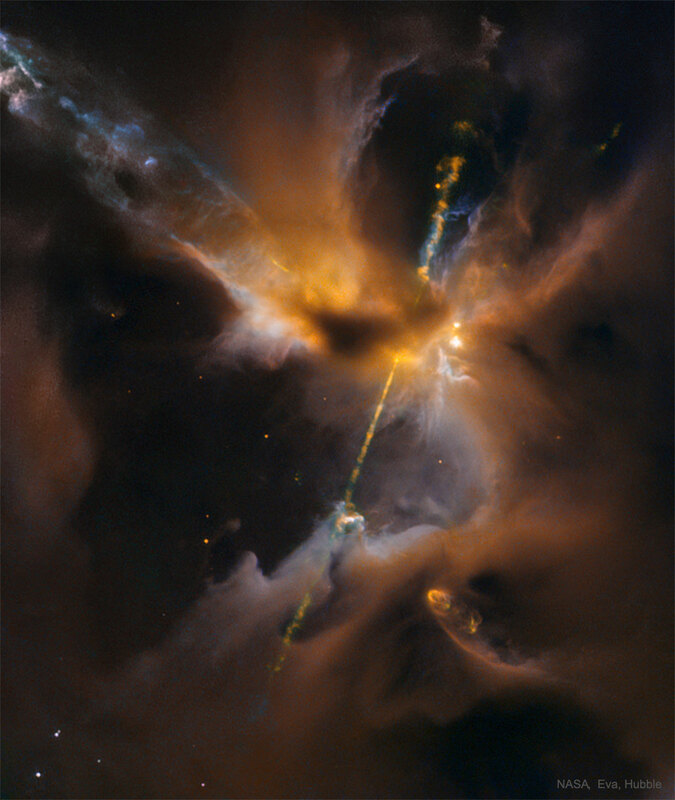 Precious image of Herbig-Haro 24. Herbig-Haro objects are gas clouds of newly formed stars. When the stars are just formed by gravity and pressure, part of their gas is expelled at high speed causing directional jets due to the rotation of these. The gas expelled by the newly created star usually hits the rest of the gas that participates in the formation of the stars since it is expelled at high speeds, ionizing it (electrically charging it) by the simple rubbing. This offers some of the most beautiful images that can be seen in the sky, like the one in the upper image. HH 24, the one in the image, is in the group of Orion B, in the constellation of Orion, in its “star nursery” area. This area is recognized as a breeding ground for new stars due to the amount of hydrogen and molecular gases.